Here's something new and exciting! 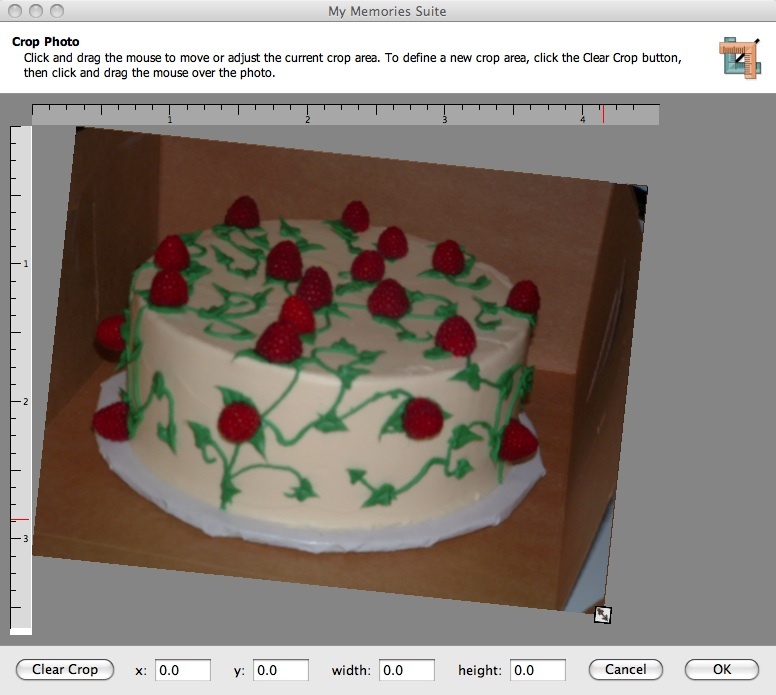 Well, actually the My Memories digital scrapbooking software has been around for a while, but I only just recently found out about it, so it's new to me. Years ago I tried to get into the scrapbook craze, but that was back when I had a lot of photographs. When we got a digital camera, I no longer had actual prints to work with because my photos were either on a memory card or my computer. I'm super lazy (and cheap) so spending the money to have prints made and then taking the time to compile everything in a keepsake album was not a task that appealed to me. With digital cameras being so affordable and readily available on most cell phones, hardly anybody takes pictures with actual film nowadays. 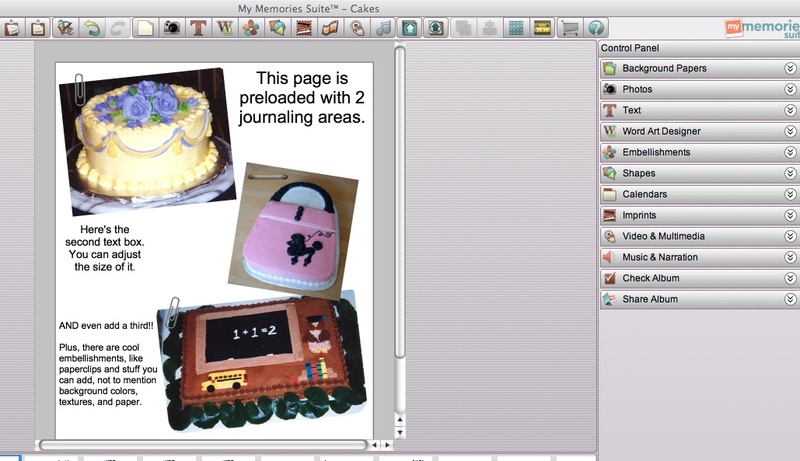 My Memories allows you to create scrapbook pages with your digital pictures on your computer, and then when you're done, you order the printed scrapbook album. You can actually do a lot more with My Memories than just make scrapbook pages, but to be honest, I haven't had the chance to explore all the other options like cards and videos yet. I've been far too busy just playing around with making album pages using pictures of my cakes and other creations. 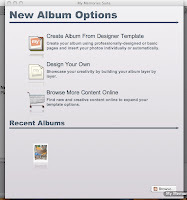 I'll post some of the screen shots here, but you can view them all on Photobucket, either as an album or slideshow. Basically, there are ready-made templates you can use which are very customizable, or you can start from scratch (I haven't had the courage to do that yet). 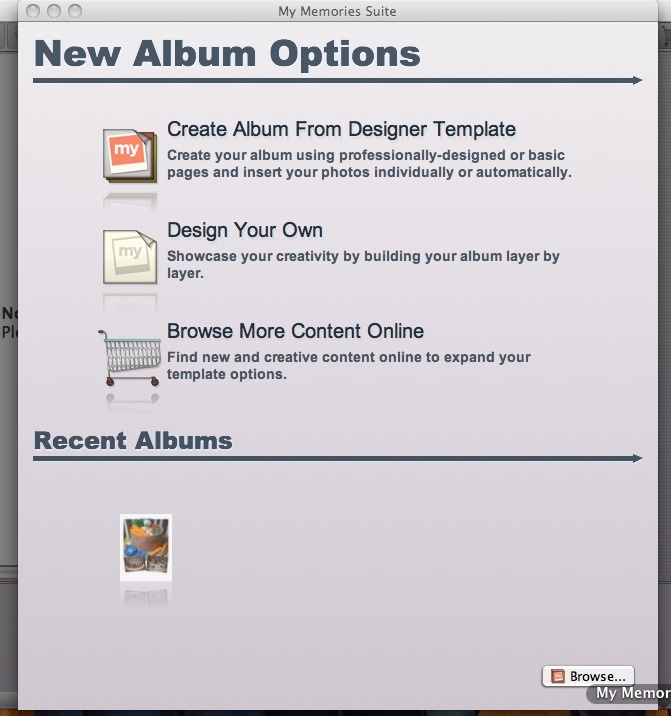 Adding photos to the pages is super simple: just drag and drop. 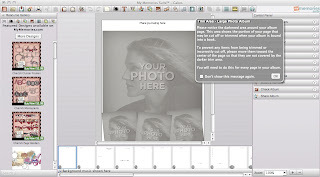 There are plenty of background choices, including different colors, papers, textures, and even the option to use your own pictures as a custom background. 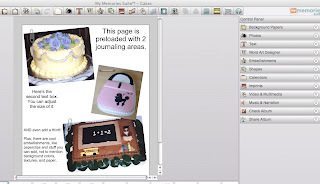 The journalling areas are preset on the template pages I've worked with, but you can change their size, shape, and even add more or remove them altogether. You can also get as creative as you like with the text options, and there's a cool feature called Word Art that's super fun to play around with. But that's not all! There are many add-on kits you can get from the online design shop, some are even free, so I seriously doubt anyone would ever run out of options. If scrapbooking is a hobby you enjoy, why not take My Memories for a test drive and see for yourself? You can download a free trial on the website, and if you do, please let me know what you think. 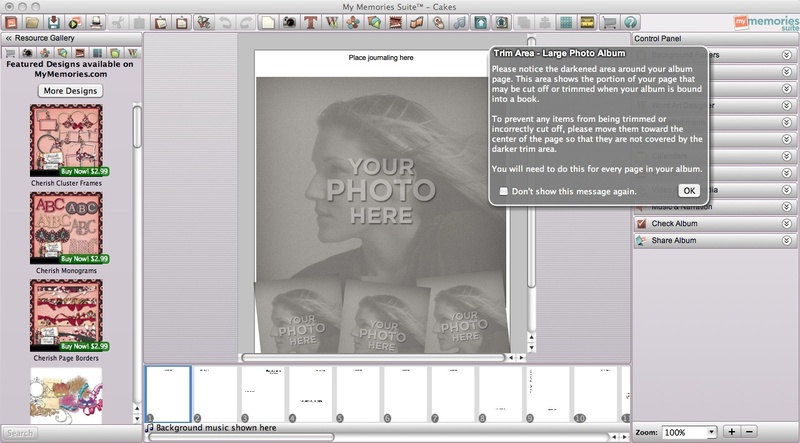 Alternative, you could play around with the Online Photobook Creator. Trust me, you don't have to be tech-savvy or a graphic design guru, as the software is very intuitive, and there are plenty of resources to help you out, including online tutorials, YouTube videos, and a blog which features weekly challenges to give you even more ideas and inspiration. 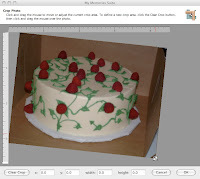 As if that's not enough, the really cool thing is that I'm hosting a giveaway for the My Memories digital scrapbooking software. Yes, one lucky person will win My Memories Suite Version 3! Entering is easy, thanks to the wonderful widget known as Rafflecopter. For those who can't wait for the giveaway to end and must have My Memories right now, you can save $10 on your purchase with coupon code STMMMS90048. If the Rafflecopter widget isn't loading, try refreshing the page. If it's still not showing up, please let me know either via email (cakedarla at gmail dot com) or Twitter (@cakedarla). Thanks! This looks so much fun! I would love this! I think the key to scrapbooking is making the time to do it. Using software will be much quicker than using paper, especially with kids at home! I don't scrapbook but should. I have a ton of pictures that need a home.